Flip handle permits load to swing or switch orientation as needed. 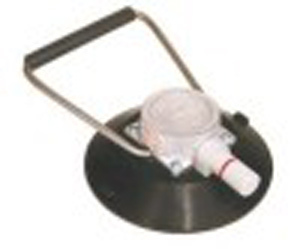 Attaches to flat or curved surfaces with a minimum radius of 12". Load capacity of 70 LBS.